Through this course, you'll not only earn 4.5 CEs through the American College of Nurse-Midwives (ACNM), but you'll gain a deeper understanding of how to help your patients. This course has tips and tricks you can use right in the office that only take a few minutes. You'll also learn extra assessments that can help you give your patient the best advice moving forward. Learn first hand what's possible through rehab, how to find the best physio to refer to and practice changing takeaways that will change how you view the postpartum recovery period. 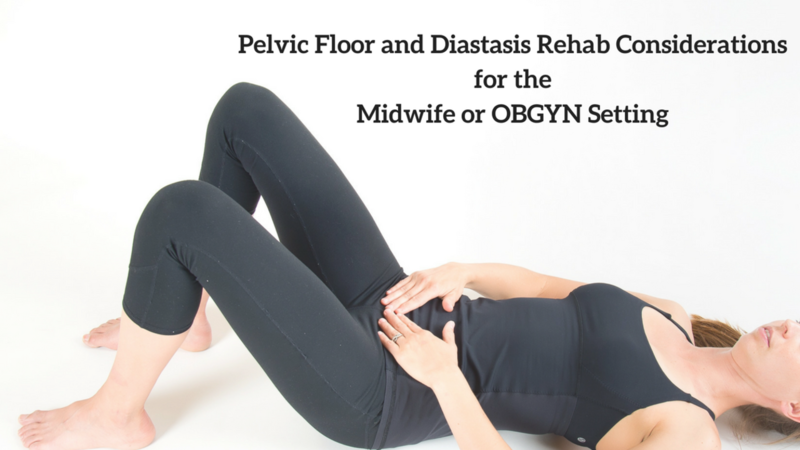 You'll be the first line of defense for helping women prevent diastasis and pelvic floor complications. With actionable steps you'll learn through this course, you'll give women life-changing hope for their recovery. "I am truly grateful I found Sarah! Her knowledge and expertise has been invaluable to me as a midwife and also personally! After my 4th baby, I was struggling with pelvic organ prolapse as well as diastasis recti. I spent MONTHS pouring over books, online forums, and online programs, feeling frustrated at the lack of solid information backed by research and studies. I was frustrated for myself and for my patients with how little information seemed to be available for preventative postpartum care when it came to POP and DR. Most of the information I found said that surgery was the best option, but I didn't want to resort to surgery for anyone unless it was absolutely necessary! I wanted to give women preventative information so that no one else would have to go through the sheer terror of experiencing prolapse. Then I found Sarah, and her knowledge helped me understand pelvic floor function and body movement in a whole new way! I was blown away by how much I learned, both through this Postpartum Rehab course. I am THRILLED to say that my POP is almost completely reversed in just a few short months. I don't think that would have been possible without Sarah's knowledge--she is easy to understand, backs everything she says with research and is extremely interesting! I definitely felt like this was one of the best classes I have ever taken as a midwife. I am beyond thankful that I will be able to offer other postpartum women (and really any women!) the tools for a better recovery and for preventative care."